In stores, it’s not often that you drop your cart during the shop because you suddenly decide you don’t want to commit to the purchase. After all, you’ve made a conscious and physical effort to walk into that shop. Online, you can perform just a few taps and be transported to a whole nother store in a matter of seconds (and without the embarrassment of leaving those items behind in full view of those eagle-eyed people). So here lies the problem for ecommerce retailers: why do people abandon and what can you do to get them to stay and complete the purchase? Or just as importantly, how can you get them to come back and convert at a later stage? Not everyone coming to your site is looking to buy immediately. People might be coming to your store to get ideas, see exactly what you offer or, most likely, to compare prices. The online world has made it easy for consumers to shop around and if your products are of higher value, it’s natural that people are going to mull over what they’ve seen. You’ve been happily browsing and adding things to your cart. You get to the checkout and suddenly there’s a shipping cost you didn’t expect. What do you do? Abandon ship and see if competitors offer the same products, at the same price, but without the delivery fees. A convoluted user journey and bad checkout process is a surefire way to make people leave your site. If you’ve a store, it’s a bit like putting up a wall in front of the tills. What’s more, according to a BI Intelligence report, by 2020 mobile commerce will make up 45% of total ecommerce – so a site and checkout not optimized for mobile will lose you even more customers. Once consumers have added things to their cart it’s common that at the point of checking out, they’ll leave the site to search for discount codes. Some may come back, but those who don’t find a code may not return. How do you get them back to your site to bag the sale? Customer reviews have become a key part of the purchase decision-making process. If you’ve not integrated an independent reviews function – like feefo – into your site, you’re leaving the door wide open. And they may not come back! 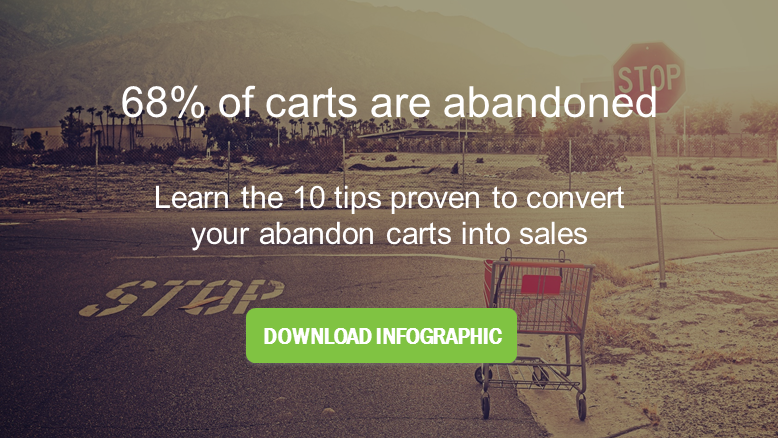 For more insight on why people abandon carts and how you can begin to overcome the issues, download our free ‘Your abandoned cart strategy’ infographic‘. Alternatively, check out a post by the good which offers eight strategies that will help you reduce cart abandonment.